Are you excited? I’m excited. And a little scared. But we’ll have each other, right? 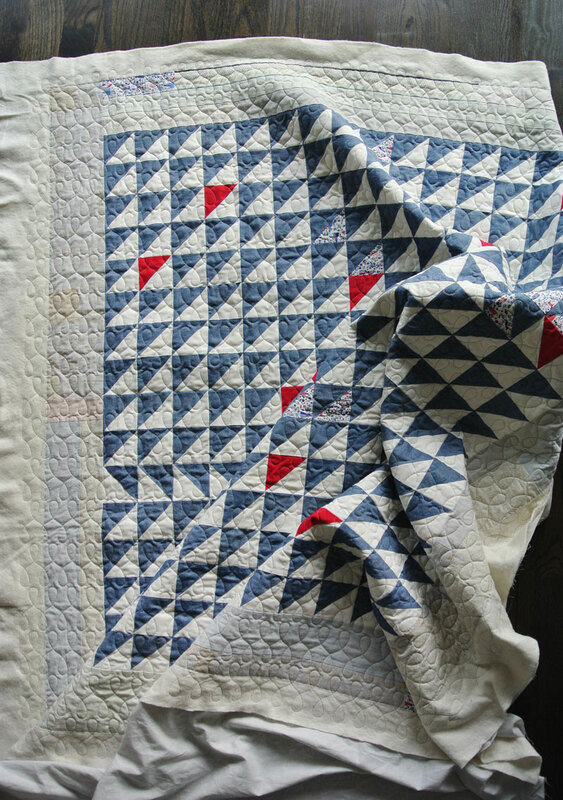 Quick sidenote, I mentioned a new book that just came out in my holiday gift guide – Parson Gray Trade Quilts: 20 Rough-Hewn Projects. 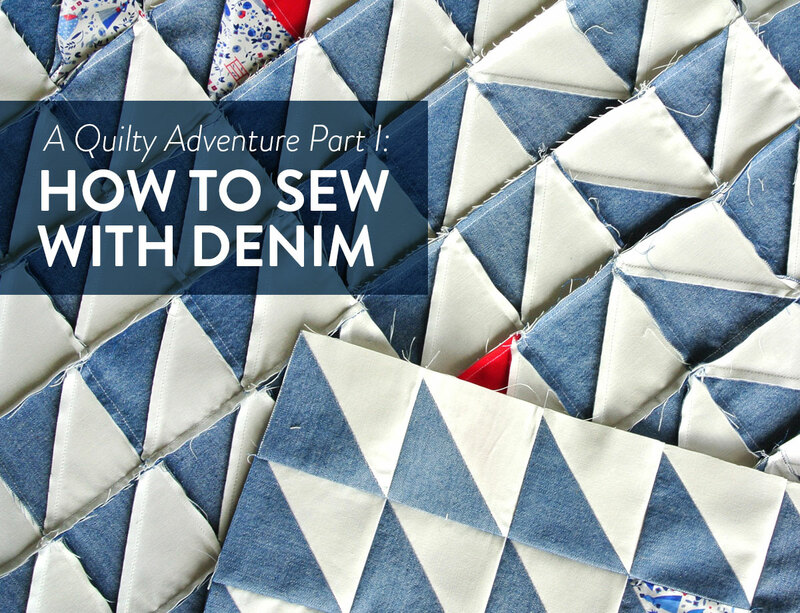 There is an entire section about quilting with denim, so pick it up if you haven't already. 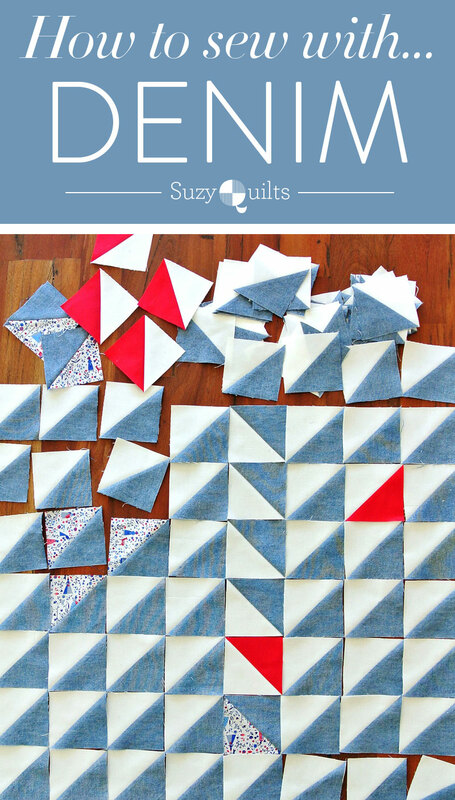 Clic﻿k here for a free denim quilt pattern! You may know denim by its other name, “jeans,” or maybe even “dungarees.” Both of these words actually come from other (non-English) languages. “Jeans” is derived from the name of a city in Italy, Gênes (though we call it Genoa.) Sailors from this town in Italy wore jeans like it was their job. “Dungarees,” on the other hand, is one of the only Hindi words that made it into the English language. The word translates to “coarse fabric,” and denim-like scraps have been found in India dating back over 5,000 years. Ah-mazing! Denim has some pretty special attributes, and you’ll want to keep them in mind while sewing or quilting with the fabric. First of all, it’s super strong, and lasts a long, long time. 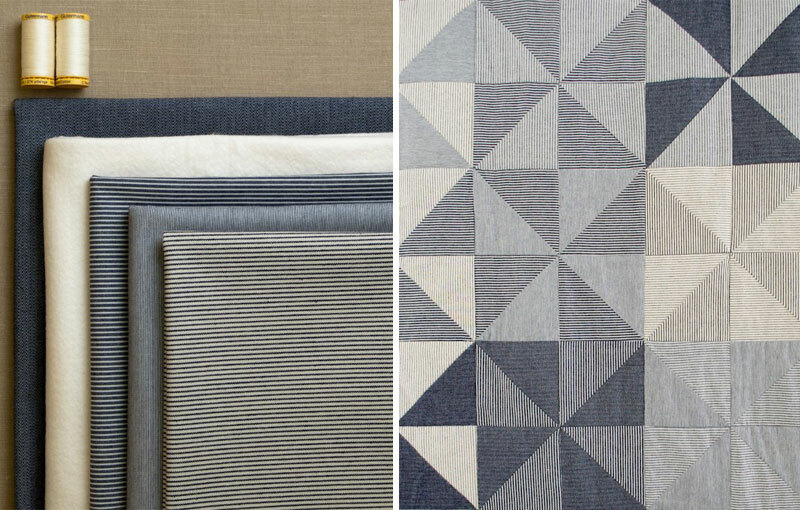 This can be a big draw to using denim, especially for projects you want to stick around for a few generations. Another great attraction? The stuff doesn’t snag. 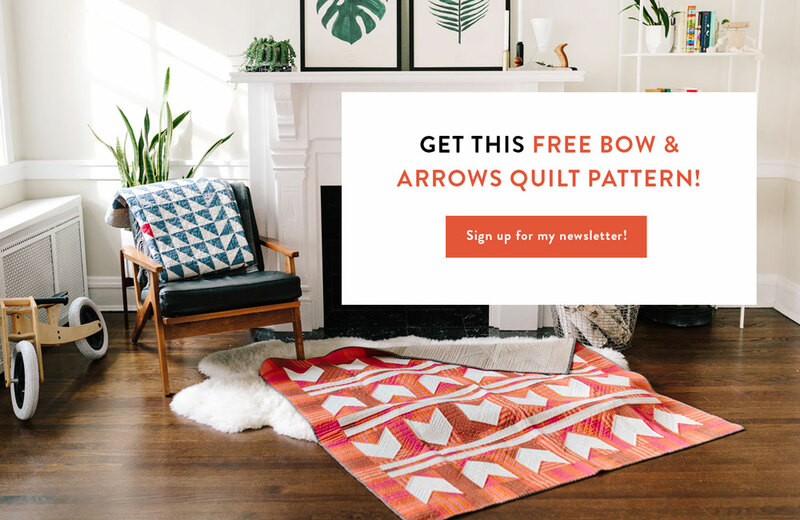 Above is the Fly Away quilt pattern. 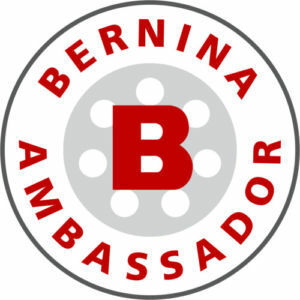 Get the instant PDF download in the shop! 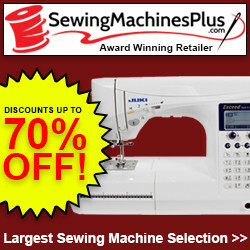 Before you sew with denim, make sure you stock your sewing kit with the right gear. 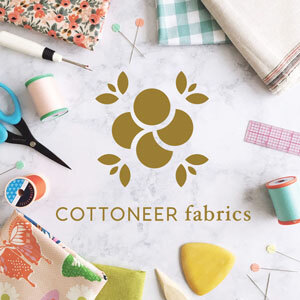 Because of the growing popularity of sewing with denim in the quilting world, some fabric manufacturers have released their own lines of lightweight denim or chambray (What's the difference between denim and chambray? Read here!). 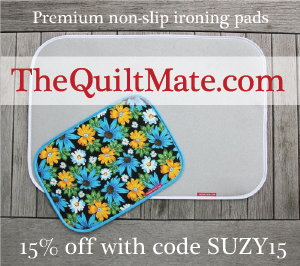 If that's the case, you may be able to get away with treating it the same as regular quilting cotton broadcloth. 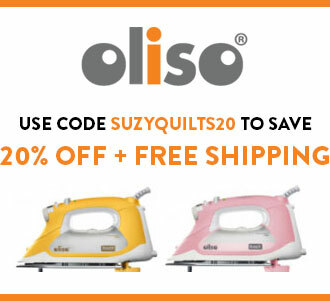 Iron your seams flat OR make sure when joining seams, they are going opposite directions. Denim is pretty bulky and if two seams are joined right on top of each other it will create a thick bump you may not be able to sew through. Take your time. 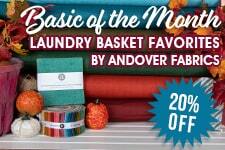 You’re going to want to hold denim as firmly as you can while you feed it into the machine. No pushing, no pulling, no risking a broken needle. Hold it firmly, and let denim do it’s thang. Put your presser foot in the air like you just don’t care. If you think your presser foot can’t get any higher than its high position…check again! It probably can. And you’re going to want it as high as you can get it to reduce tension on the denim. Another option is to switch out feet and use a walking foot. Anyway, she used castoff jeans to make this quilt top. Since the denim was so heavy, she opted out of using batting and is using a beautiful plaid wool as the backing that you can kind of see popping out around the edges. To achieve the gorgeous variation of color, Caitlyn used both the front and the back of the different pairs of ripped up jeans. For the sashiko stitching, she is using the sharpest needle she can find and changing it often. She is also using 2 strands of embroidery floss to get that nice thick stitch. 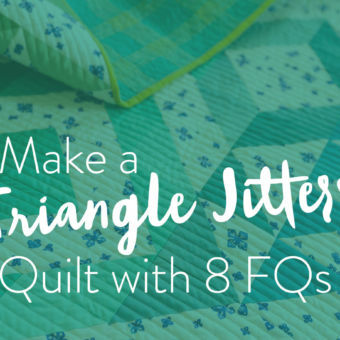 For those who have hand quilted before, you may be used to catching multiple stitches at a time. Since the denim is so thick, Caitlyn pointed out that she can only stitch one stitch at a time – so the process does go slower than if using lightweight cotton. She used an 80/12 machine needle and changed it relatively often. Where to begin with this quilt...well, first, I should say that it was the QuiltCon 2016 Best In Show Winner. While at QuiltCon I found myself losing track of time standing in front of this quilt. Every time my hand drifted up to touch one of the many textured details, I had to slap it down and remind myself that "YA CAN'T TOUCH THE QUILTS." Seeing this up close...well...it changed me. I'm not trying to be overly dramatic here – the thought and process behind this quilt opened me up to thinking about textiles and family and emotion and depression and the energy that you feel when you are holding something in your hands and remembering a person who is no longer alive. 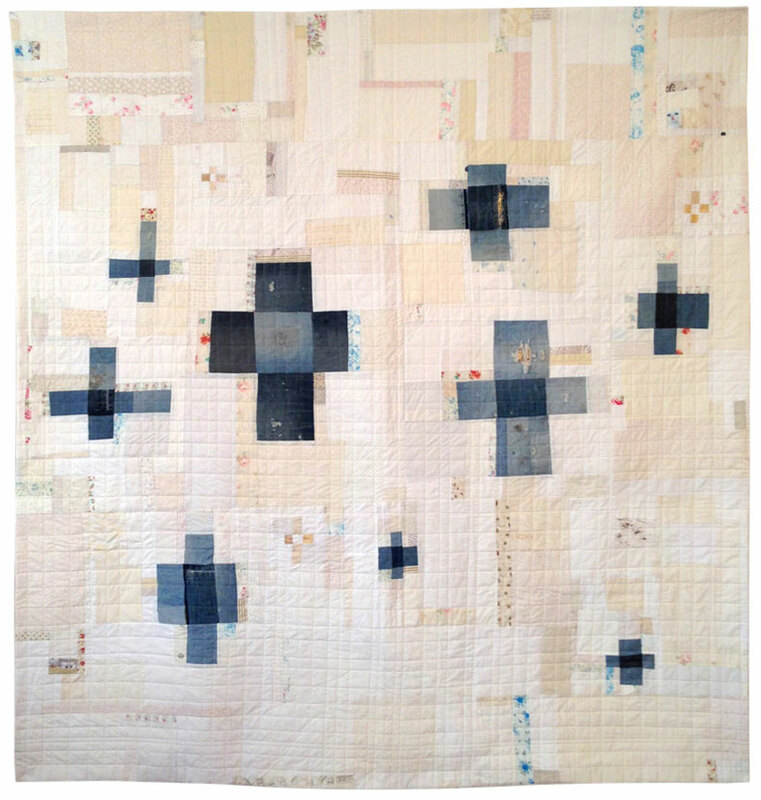 I know I'm rambling, but this quilt...even simply typing about it I get choked up. OK, let me start over. My Brother's Jeans uses recycled denim – and not just the new-ish looking denim, but the stained, and ripped parts. 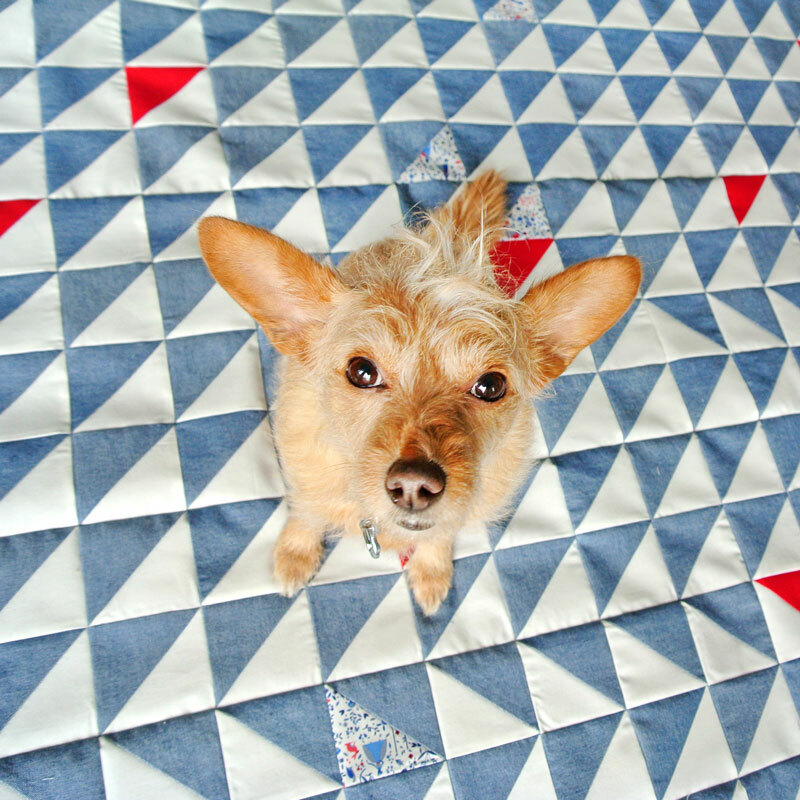 Aside from adding rich texture to the quilt, there is a thoughtful reason behind this. The story is such an inspiring one, only the artist herself can do it justice. 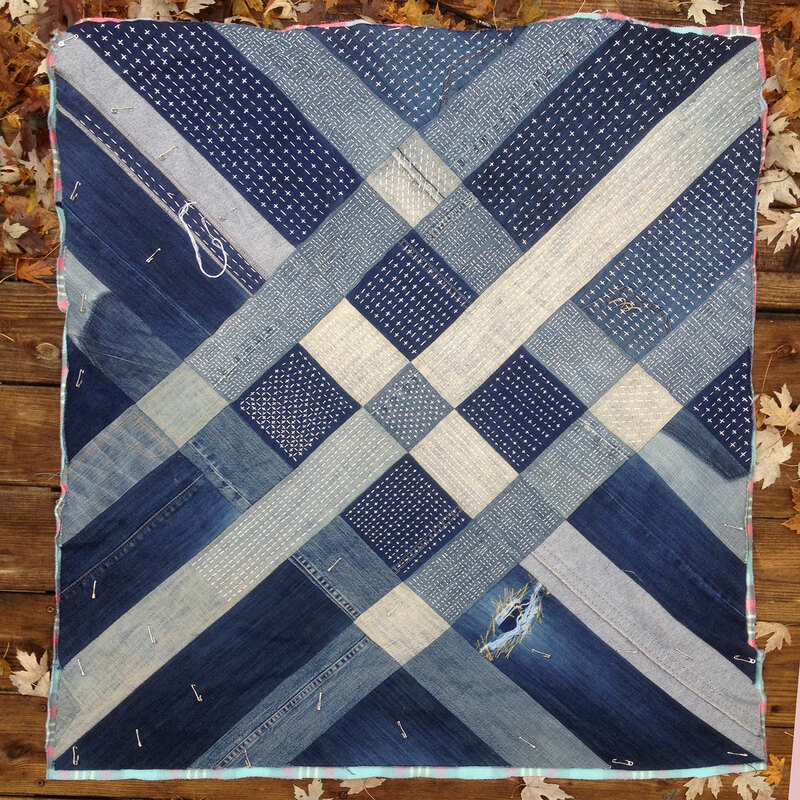 As stated by Melissa in her description of the quilt, "The denim in this quilt is from my brother Michael's work jeans, which I rescued from the dumpster after his suicide in 2009." 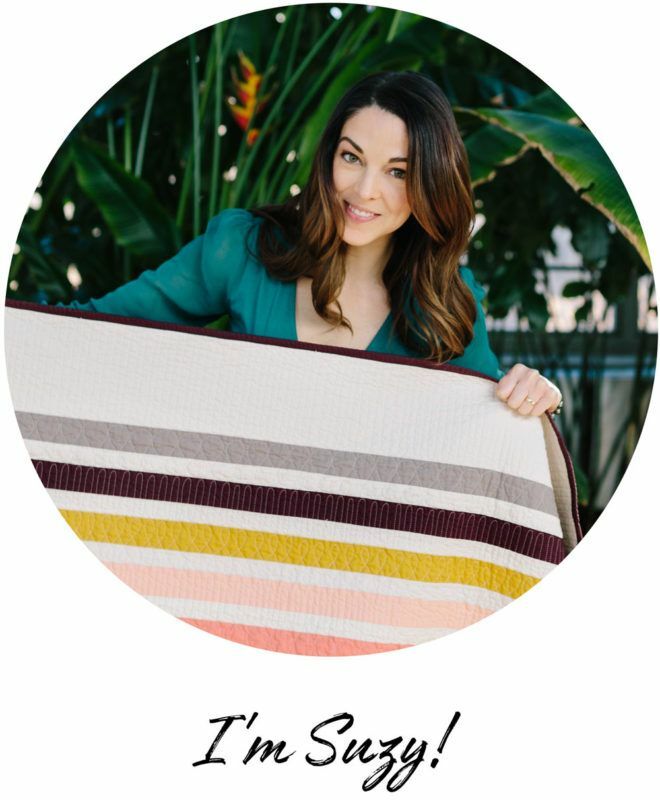 To read more about her and her process behind this quilt, visit this blog post. Weaving with denim? We just shot up to the next level. I have yet to try this technique, but I think we can all admit that it's not just stunning to look at, but makes you want to reach through your computer screen and stroke it. Right?? That texture is making me drool all over my keyboard! I did a little bit of research and it looks like Mister Domestic sells a pattern with weaving instructions. So I made my daughter a denim quilt top out of her old jeans about 5 yrs ago and have never finished it. I just don’t know what to do. What fabric to back it with? batting or no? I bought red corduroy to back it with but that seems crazy heavy. I need help! Corduroy would definitely add weight. 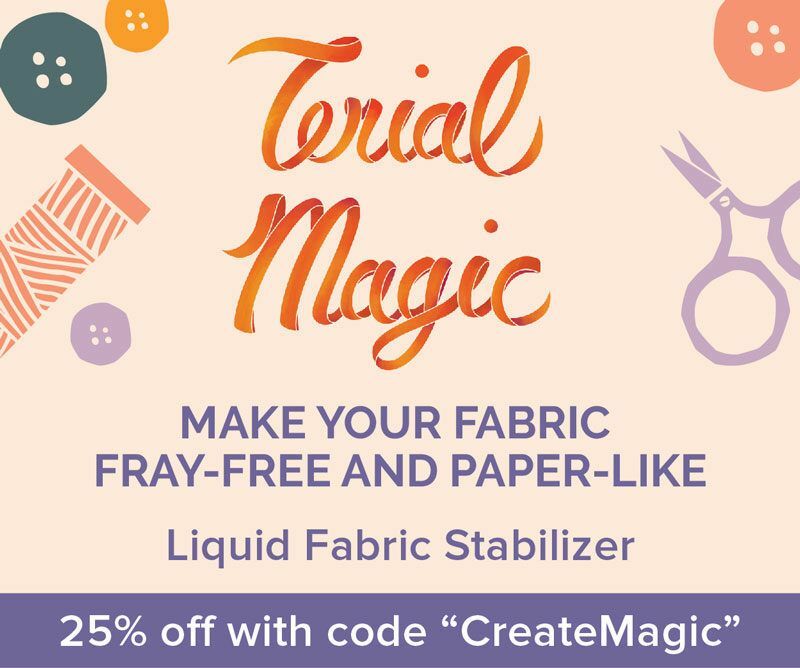 Have you thought about using regular lightweight cotton for the backing? Or even flannel? That could add a nice cozy contrast. If you go with flannel, you could get away with no batting, depending on how warm you want the quilt to be. If using lightweight cotton broadcloth, though, I’d use batting so you can’t feel/see the bulky seams of the quilt top. 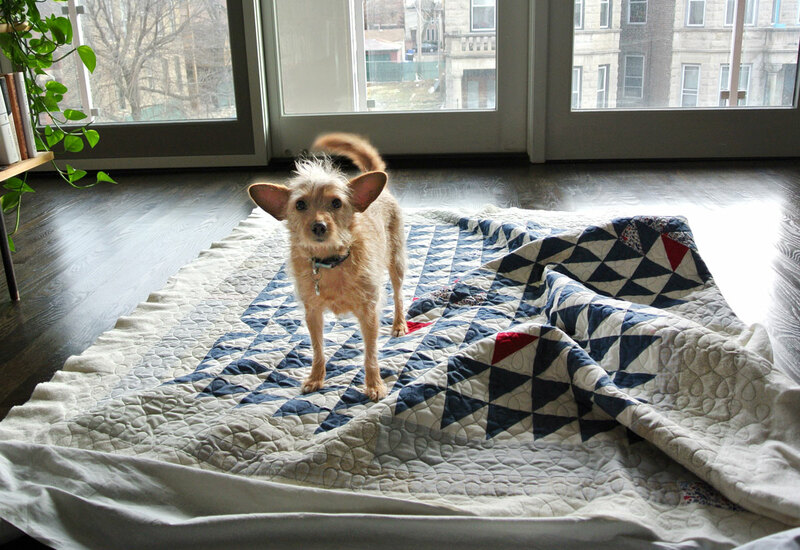 Thank you – I’ve been working on some rather improvisational salvage denim baby quilts and was about to put a queen sized version on the long arm. Your notes and comments were very helpful – and your link to Melissa and “My Brother’s Jeans” was an …epiphany. Thank you, thank you. Quilters come from so many physical and spiritual places. 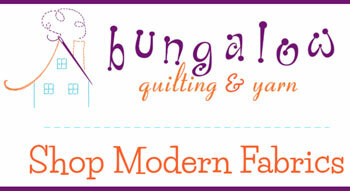 So many of us work away quietly toiling in basements, sewing rooms and unused sunday school rooms. It is an art which speaks to our very human sense of warmth and comfort – and sharing that universal prayer for comfort. I couldn’t have said it better myself. Thank you for the insightful comment! You might be interested to know that the word “denim” is from the French – “serge de Nimes” – Nimes being the town in France where serge was mostly woven. I have a HUGE pile of old jeans I’ve been collecting from friends and family over the years. I’m going to work on a denim quilt next but first I made the mistake of searching Pinterest and finding decorative pillows from old jeans. I made the front but need advice on what to do with the back. I’m worried that a cotton fabric is too light to pair with the denim. Won’t the denim pull and tear the lighter weight cotton after washing a few times? What fabrics are ok to sew to denim? The front of the pillow is blue jean chevron and beautiful and a lot of work that I don’t want to spend another week repeating. I want to put a solid piece or fabric, patterned or solid on back to complement the front. If you don’t want to sew more denim to the back, I would recommend some linen or a cotton/linen blend. 100% linen is very strong and will be a beautifully compatible weight to your denim. A linen blend, such as Essex linen, is also a great, heavier weight option, but because it’s a blend, it won’t fray as much. How do you quilt the jeans to the batting and backing? I am having a hard time the backing is full of puckers. Should I tie it instead? Any suggestions? I have made a denim quilt for each of my four sons and one of my daughters. I have backed them with flannel, only to have the denim out wear the flannel. One of my sons wanted to put a new back on his quilt, plus it was wearing out on the top, so I made a deal with him, if you take all of the ties out, I will mend the top. We did and I had such fun putting patches on the blocks that needed fixed. Instead of putting a batt in it, this time we put a fleece back on it and tied it. Yes, I have taught my sons to tie quilts, and they have enjoyed working with their mom and sisters on different projects. The fleece will wear better than flannel. I love this! And I’m sure your kids value time spent with you so much. Thanks, Maralyn! I used scrap jeans for a “crown royal bag” quilt. I turned out really great. 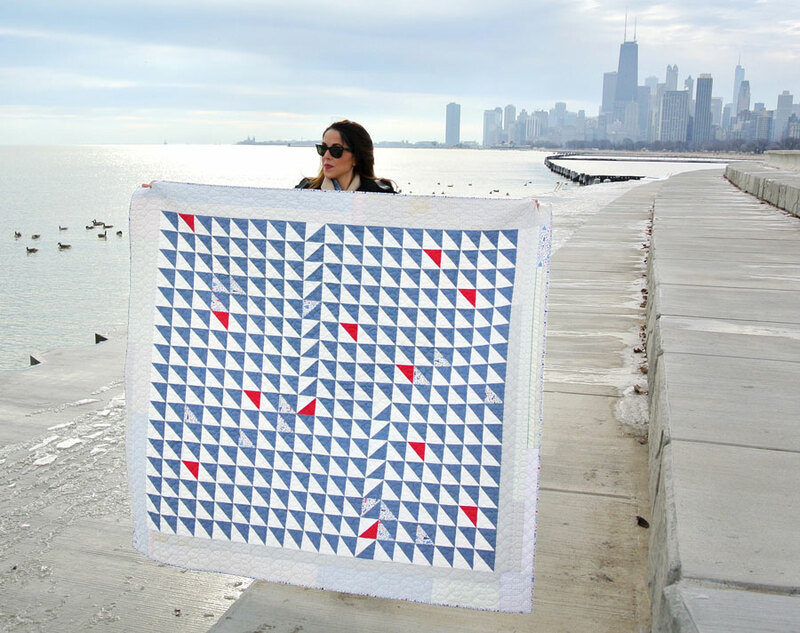 These quilts are stunning. 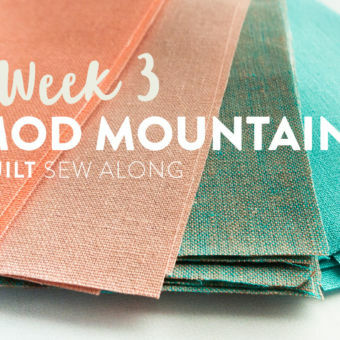 So, can you use denim with other fabrics of different weights in the same quilt? I’m making quilts out of my mother’s old clothing and I’m trying to figure out the denim issue. She had so many different looking denim jeans that are “so mom” to my siblings and I. Ideally I’d be able to mix them in with all of the scraps from her shirts/dresses, but it seems like they won’t mix well from what people have told me. 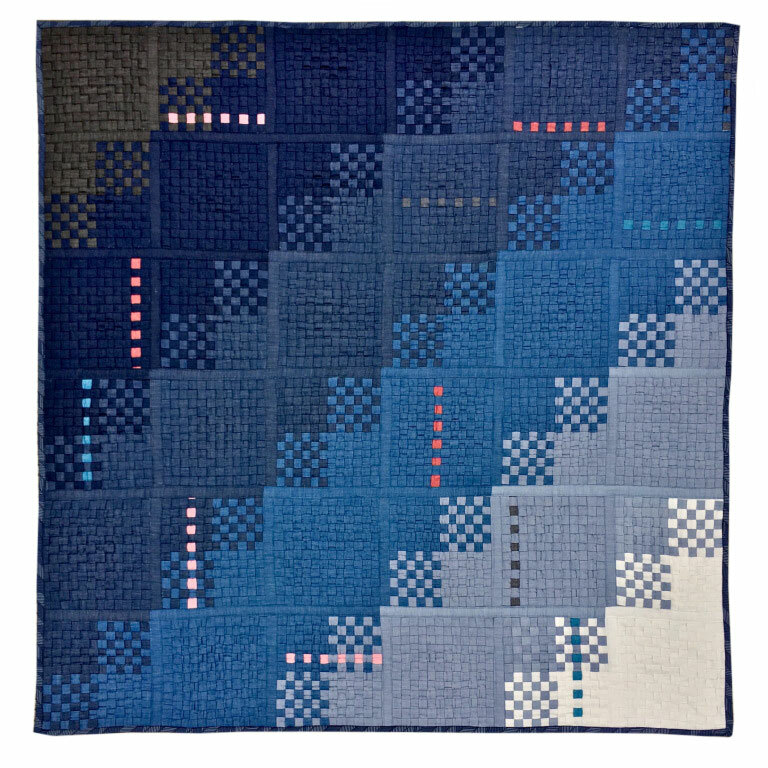 As nice as it would be to have them all mixed in together for the quilts, would I be better off reserving all of her denim for a quilt of it’s own? Thank you! Great question and some of it comes down to how thick the denim is. 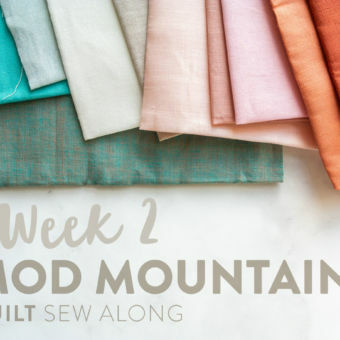 I’ve mixed denim with other fabrics of similar weight, but you may run into some problems with the drape of the quilt if you sew really thick fabric to relatively thin fabric. 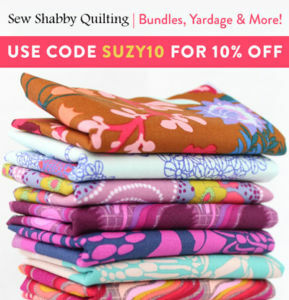 If you have enough, I’d pair up fabrics of similar weight and make multiple quilts.